Warner Brothers Home Entertainment has added Crazy Rich Asians to its line-up, bringing the boxoffice sensation, based on the acclaimed worldwide bestseller by Kevin Kwan, to Blu-Ray Disc and DVD in November. Excited about visiting Asia for the first time but nervous about meeting Nick’s family, Rachel is unprepared to learn that Nick has neglected to mention a few key details about his life. Not only is he the scion of one of the country’s wealthiest families, but also one of its most sought-after bachelors. Being on Nick’s arm puts a target on Rachel’s back, with jealous socialites and worse, Nick’s own disapproving mother (Michelle Yeoh) taking aim. 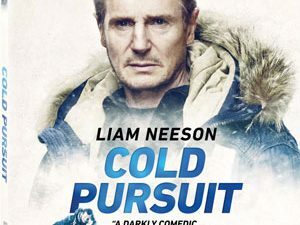 Arriving as a Blu-ray Combo Pack, the release will contain a Commentary Track by Director Jon M. Chu and Novelist Kevin Kwan, as well as the Featurette Crazy Rich Fun. A Gag Reel and a selection of Deleted Scenes will also be included on the release. The DVD version will only come with theCrazy Rich Fun Featurette as a bonus feature. 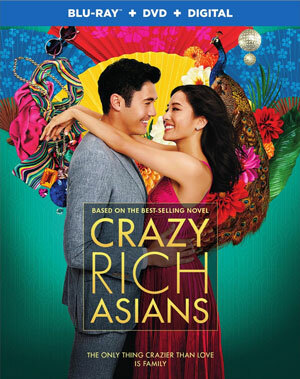 Crazy Rich Asians will be in stores on November 20 for $35.99 on Blu-Ray Disc and $28.98 on DVD.